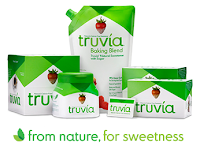 Get Free Truvia Sweetener Sample. Scroll down to the bottom of the page and select "Other Comment or Question" from the drop-down box. Enter your information and request your sample in the comment box. Be sure to leave your shipping details, so they can ship your free Truvia sample. The best sweetness comes from nature. Truvía® sweetener is natural, great-tasting sweetness born from the leaves of the stevia plant.